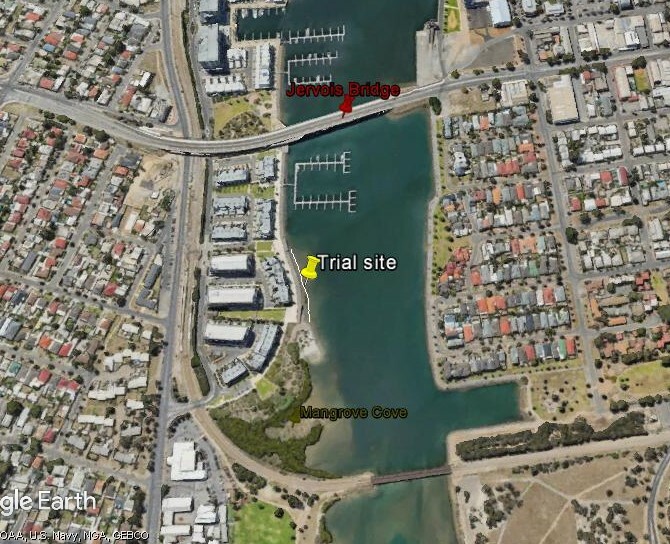 The Water Research Laboratory (WRL) at the University of New South Wales has provided the coastal engineering advice for the planning of the ECF’s Snowden’s trial, for seagrass and shellfish reef restoration. 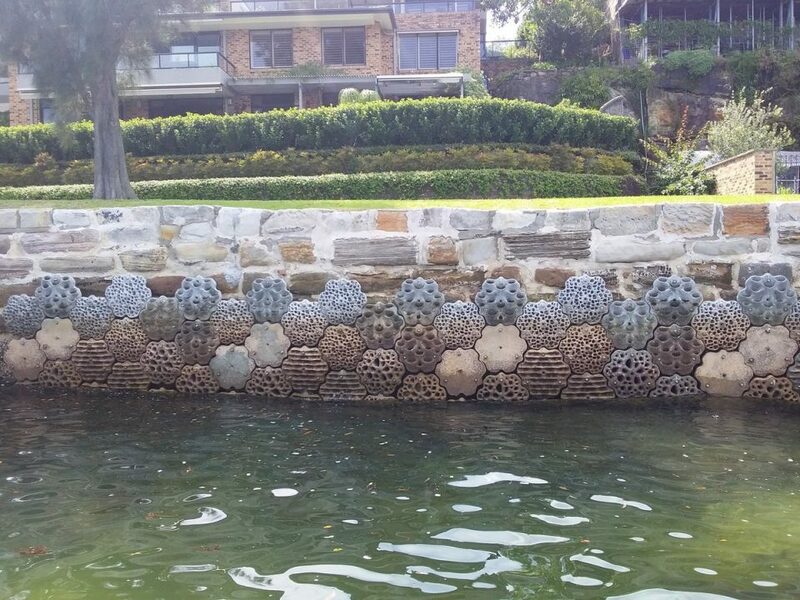 Our project was inspired by OceanWatch’s experience in Sydney Harbour. 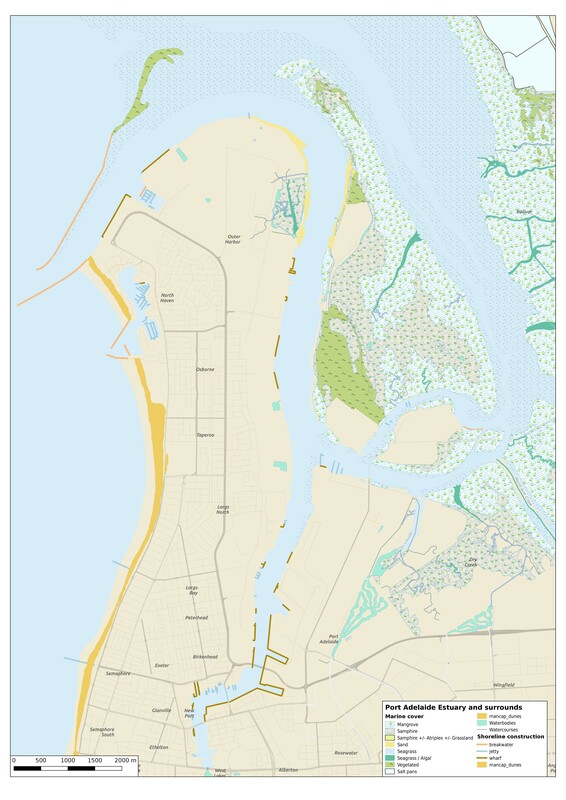 WRL work closely with OceanWatch in NSW for their trials deploying bagged shell, for oyster reef restoration. 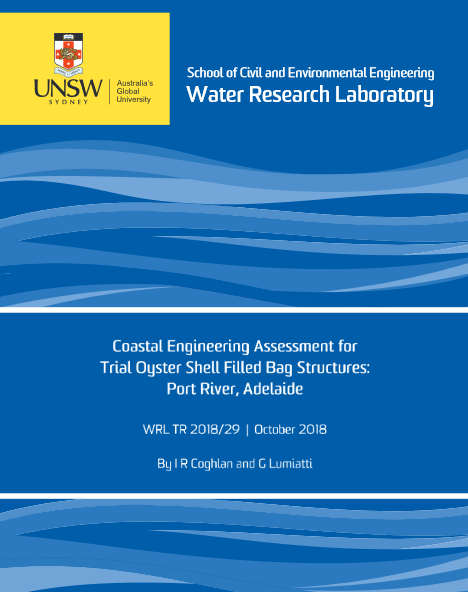 WRL are very engaged in ecological engineering and their research program, with OceanWatch, has focused on improving the design and function of oyster bags, to reduce intertidal riverbank erosion. WRL provided their consultancy advice to ECF in early September and the Foundation is pleased to share their work via this Technical Paper. 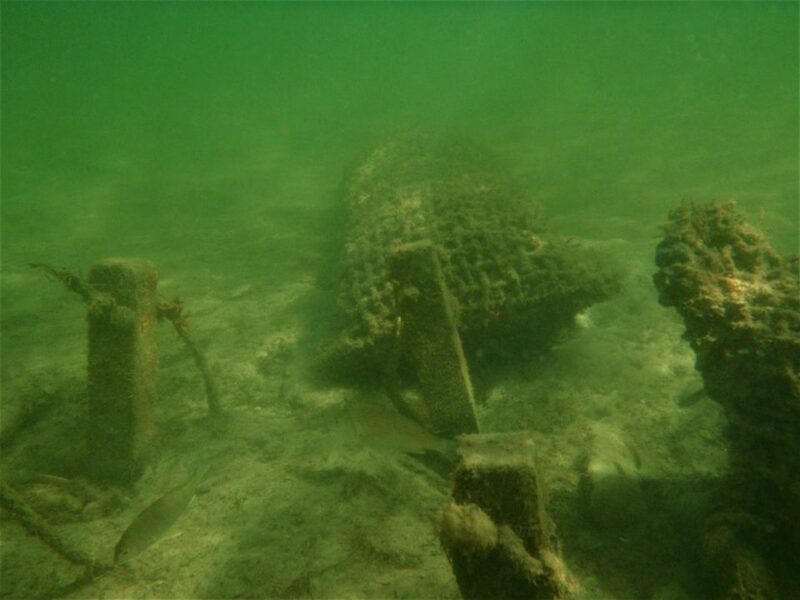 ‘WRL assisted the Port River seagrass and shellfish restoration project by undertaking a coastal engineering assessment for the oyster bag structures. It was found that the design wave climate was generated by passing commercial tugs operating in the port (which is equivalent to 1 year average recurrence interval wind waves). Based on the results from previous full scale physical modelling tests in WRL’s three metre wave flume, it was concluded that the oyster bags are expected to remain stable under attack from these wave conditions’.